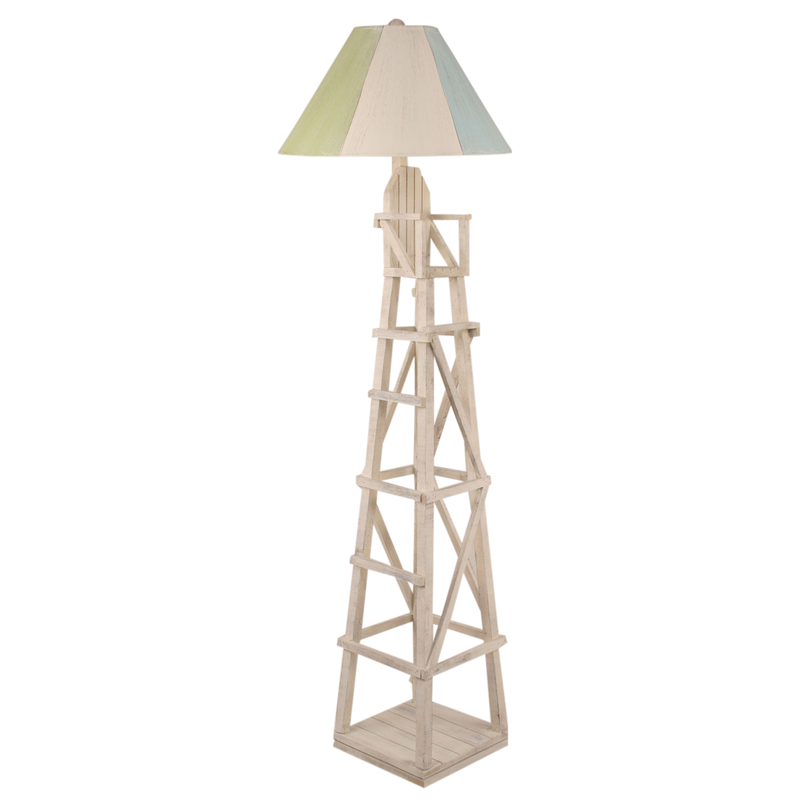 Capture coastal style with the Cottage Lifeguard Chair Floor Lamp with Striped Shade. Made with a replica lifeguard beach chair and a striped shade in soothing colors, this floor lamp is the perfect accent for your decor. Ships from the manufacturer. Allow 1 to 2 weeks. Cannot express ship this beach lighting. Browse through our full array of high-quality beach floor lamps at Bella Coastal Decor right now!